This Stereo Fly test is designed for the evaluation of both gross stereopsis and fine depth perception. The Stereo Fly test is used as a standard in stereo testing. 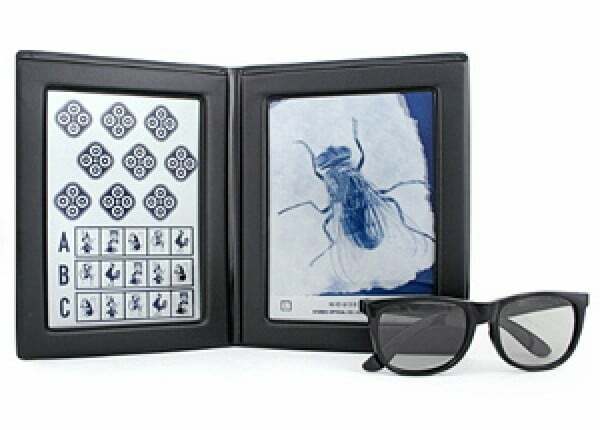 The large image of the fly is useful for testing children, as they respond to large objects or pictures well. Test also features targets and animals for further stereo testing. Test only works with the use of the stereo glasses. This helps prevent guessing and creates a more reliable stereo vision test.